Before doing my grocery last Thursday at Gaisano Bulua, I stopped by at the nail polish stall to check out for new nail colors. 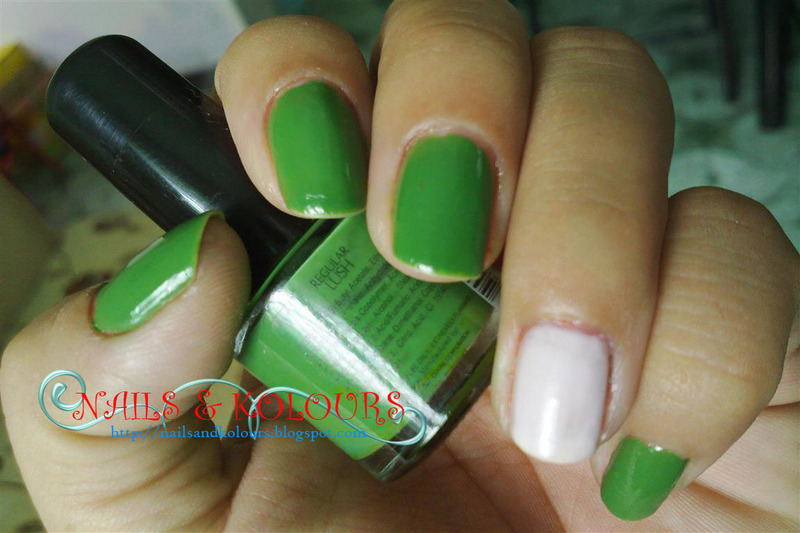 And I did found something new from Bobbie Nail Care Collection, the Bobbie Lush and Bobbie Fave Bikini. Bobbie Lush is an opaque, deep-green color completely richer and darker compared to the yellow light green Grass Skirt that I got few days ago. 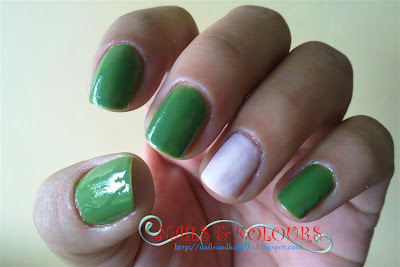 You'll get good result with just two coats, but I preferred a much deeper green with three coatings. This is one color that I'll be listing on my favorites. Aside from Lush, I also got this peachy pinky white creamy color called the Fave Bikini. 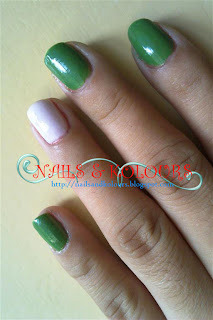 This is one girly color, simple yet elegant. Just pretty with three coatings. I used Bobbie Fave Bikini as an accent color on my ring fingernail, I'm still thinking what nail art design I should be painting on it. Anyway, Bobbie Nail Care do give us nail polish lovers out there, vast color collection. They indeed have very pretty, cool and unique colors to choose from. And the two colors mentioned above should never be ignored. Let's see what's the next step after this review. Watch for it.